Support for suburban growth, however, has ebbed dramatically, particularly among those self-styled progressives who claim FDR’s mantle. In California, greens, planners and their allies in the development community have supported legislation that tends to price single-family homes, the preference of some 70 percent of adults, well beyond the capacity of the vast majority of residents. Less well-noticed is that opposition to suburbs – usually characterized as “sprawl” – has been spreading to the conservative movement. Old-style Tories like author-philosopher Roger Scruton do not conceal their detestation of suburbia and favor, instead, European-style planning laws that force people to live “side by side.” Densely packed Paris and London, he points out, are clearly better places to visit for well-heeled tourists than Atlanta, Houston or Dallas. There may be more than a bit of class prejudice at work here. British Tories long havedisliked suburbs and their denizens. In a 1905 book, “The Suburbans,” the poet T.W.H. Crossland launched a vitriolic attack on the “low and inferior species,” the “soulless” class of “clerks” who were spreading into the new, comfortable houses in the suburbs, mucking up the aesthetics of the British countryside. Not surprisingly, many British conservatives, like Scruton, and his American counterparts frequently live in bucolic settings, and understandably want these crass suburbanites and their homes as far away as possible. Yet, there is precious little concern that – in their zeal to protect their property – they have also embraced policies that have engendered huge housing inflation, in places like greater London or the San Francisco Bay Area, that is among the most extreme in the high-income world. Of course, the conservative critique of suburbia does not rest only on aesthetic disdain for suburbs, but is usually linked to stated social and environmental concerns. “There’s no telling how many marriages were broken up over the stress of suburb-to-city commutes,” opines conservative author Matt Lewis in a recent article in The Week. In his mind, suburbs are not only aesthetically displeasing but also anti-family. What seems clear is that Lewis, and other new retro-urbanist conservatives, are simply parroting the basic urban legends of the smart-growth crowd and planners. If he actually researched the issue, he would learn that the average commutes of suburbanites tend to be shorter, according to an analysis of census data by demographer Wendell Cox, than those in denser, transit-oriented cities. The worst commuting times in America, it turns out, to be in places such as Queens and Staten Island, both located in New York City. Other conservatives also point to the alleged antisocial aspect of conservatism, a favored theme of new urbanists everywhere. A report co-written by the late conservative activist Paul Weyrich supported forcing “traditional designs for the places we live, work and shop,” which “will encourage traditional culture and morals,” such as community and family. Once again, however, a serious examination of research – as opposed to recitation of planners’ cant – shows that suburbanites, as University of California researchers found, tend to be more engaged with their neighbors than are people closer to the urban core. Similarly, a 2009 Pew study recently found that, among the various geographies in America, residents in suburbia were more “satisfied” than were either rural or urban residents. In working against suburbia, these conservatives are waging a war on middle-class America, not necessarily a smart political gambit. Overall, conventional suburban locations are home to three-quarters of the metropolitan population. 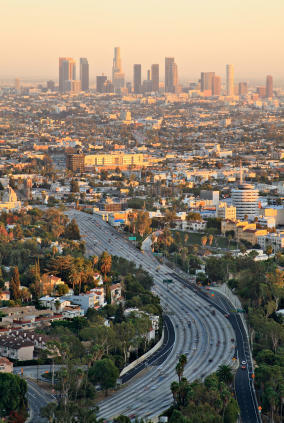 And even this number is low, given that large parts of most large American cities – such as Los Angeles, Phoenix, Dallas, Kansas City and Houston – are themselves suburban in character, with low transit use and a housing stock primarily made up of single-family residences built during the auto-dominated postwar period. Only approximately 15 percent of residents in major metropolitan areas actually live in dense, transit-oriented communities. Given these numbers, one might think conservatives would take issue with progressive plans to circumvent preferences and market forces by constraining suburban and single-family home growth. They might spot a strategic opening to secure the urban periphery, the one area still up for grabs in American politics. In contrast, the blue core cities and red countryside have, for the most part, chosen sides, and both return huge consistent majorities to their preferred party. Lured by their own class prejudice, some conservatives nevertheless seem willing to abandon market forces, a supposed conservative virtue. In reality, imposing Draconian planning is not even necessary for the growth of density. In places that are have both liberal planning regimes and economic growth, such as Houston and Dallas, there has been a more rapid increase in multifamily housing than in such cities such as Boston, Los Angeles, San Francisco or New York. The cost is just much lower. Unfortunately, few mainstream conservatives apparently bother to study such things, and, as prisoners of the conventional wisdom, embrace the notion that, on economic grounds, suburbs are becoming irrelevant. Some, such as the libertarian economist Tyler Cowen, suggest that a stagnating post-recession America has to adjust to what has been described as a “new normal” of declining expectations. With middle-class opportunity seen as largely moribund, many financial interests see America becoming a “rentership” society; for these rent-seeking capitalists, the death of suburbs would be not only morally correct, but also economically advantageous. It’s hard for me, even as a nonconservative, to see how this trajectory works for the Right. Renters, childless households, highly educated professionals, as well as poor service workers, clustering in dense cities are not exactly prime Republican voters. Without property, and with no reasons to be overly concerned with dysfunctional schools, the new urban population tilts increasingly, if anything, further to the left. Meanwhile, the middle-class homeowner, and those who aspire to this status, increasingly find themselves without a party or ideology that champions their interests. In exchange for the approval of the cognitive elites in the media, in academia and among planners, conservatives will have, once again, missed a chance to build a broad popular coalition that can overcome the “upstairs, downstairs” configuration that increasingly dominates the Democratic Party. Yet, there remains a great opportunity for either party that will appeal to, and appreciate, the suburban base. Conservative figures such as Ronald Reagan and Margaret Thatcher understood the connection between democracy and property ownership and upward mobility. Much the same could be said for traditional Democrats, from Roosevelt and Harry Truman, all the way to Bill Clinton. For all their faults, suburbs represent the epitome of the American Dream and the promise of upward mobility. That they can be improved, both socially and environmentally, is clear. This is already happening in new, mostly privately built, developments where the “ills” of suburbia – long commute distances, overuse of water and energy – are addressed by building new town centers, bringing employment closer to home, the use of more drought-resistant landscaping, promoting home-based business and developing expansive park systems. This seems more promising than following a negative agenda that seeks simply to force ever-denser housing and create heat-generating concrete jungles. The abandonment of the suburban ideal represents a lethal affront to the interests and preferences of the majority, as well as their basic aspirations. The forced march towards densification and ever more constricted planning augurs not a return to old republican values, as some conservatives hope, but the transformation of America from a broadly based property-owning democracy into something that more clearly resembles feudalism. Submitted by lukelea on Tue, 09/23/2014 - 14:48. In this post-Christian utopia, Luke Lea explores a world of small country towns in which the people work part-time outside the home -- 4-to-6 hours a day, three or four days a week -- and in their free time build their own houses, cultivate gardens, cook and care for their children and grandchildren, and pursue other leisure-time activities. They live on small family homesteads grouped around neighborhood greens, and get around town in glorified golf carts. So thoroughly are work and leisure integrated into the fabric of their everyday lives that the townsfolk don’t feel much need to retire, and they die at home in their beds as a rule, cared for by loved ones. For those who would like to move to this world he provides a map with some directions for how to get there from here. Coming soon to Kindle books.